Our Thrift Shop is open from 9:30 a.m. to noon Saturdays, offering a dignified and pleasant shopping environment and reasonable cost. Surplus items are given to charitable institutions. Donations are accepted from 9:30 a.m.-noon Wednesdays and Saturdays. Proceeds benefit the mission and ministry of Christ Church. All are welcome at our community breakfast from 10 to 11 a.m. every Saturday. 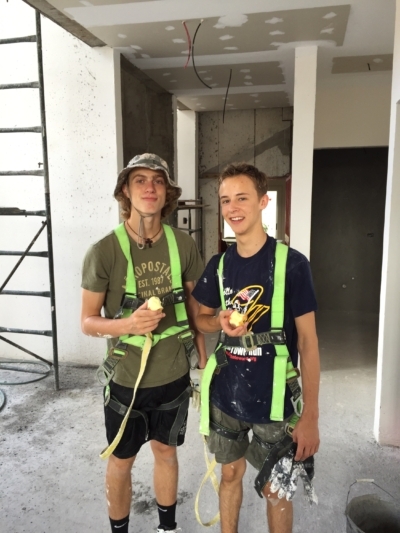 Between 9 a.m. and noon, volunteers set up, cook and serve breakfast, and clean up. 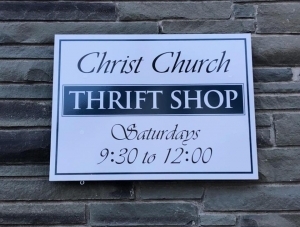 The breakfast, which is timed to coincide with Thrift Shop hours, provides a hot breakfast and a warm and friendly space For more information or to volunteer at the breakfast, contact the church office, speak with Liz Houlton, or email christ.church.breakfast@gmail.com. Polly Vander Kruik’s reading and book giveaway program continues as a highlight of the breakfast. To volunteer to help with that, please speak with Polly or contact the church office. Holiday baskets: Christ Church participates in the Warwick Ecumenical Council’s holiday food and gift basket program. Individuals or groups can adopt a family or families, for whom we supply a holiday dinner and, at Christmas, gifts. To participate, contact the church office. 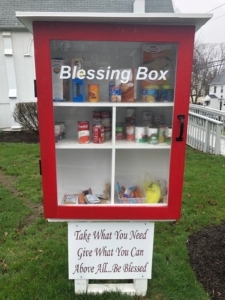 Blessing Box: members of our community stock a mini food pantry on our campus that serves those in need of food or toiletries here in our village. Meals-on-Wheels: Christ Church’s team rotates with other local churches, in delivering lunchtime meals to the Warwick home-bound. Drivers and ride-along partners welcome. For more information, call the church office. 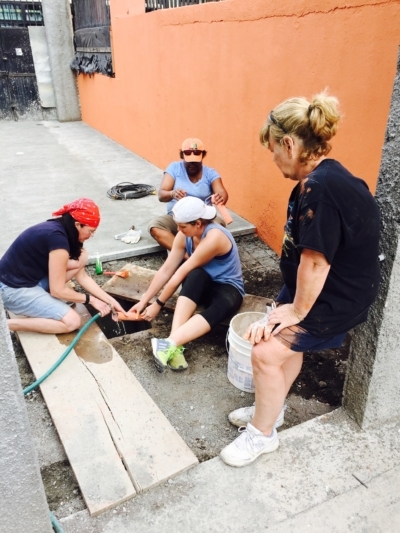 Mission Work: Christ Church has been active in overseas mission work for many years most recently in San Jose, Costa Rica. 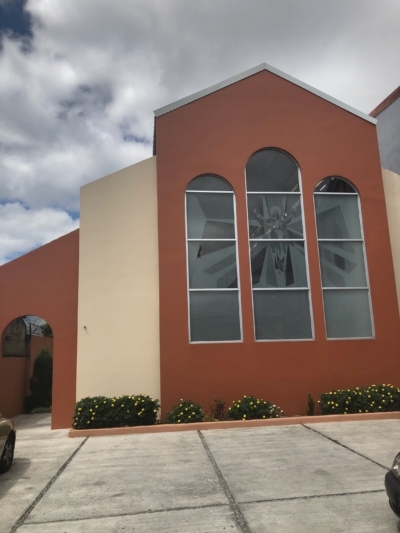 We have supported the congregation of Church of the Ascension there both financially and with our own sweat equity by sending 6 different mission trips to help construct their new church. 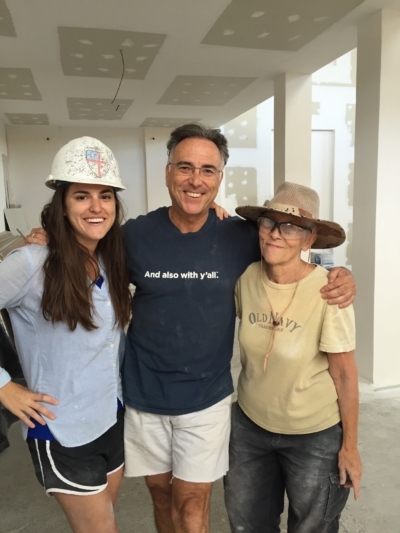 Our work there continues as we support them in the fundraising and future construction of an afterschool teen center.